This month Feel Good Friday continues to celebrate organizations that work with women. Today, we turn our attention to Women for Women International. As explained on their Facebook page, Women for Women International (WfWI) is "helping women survivors of war and conflict rebuild their lives through a yearlong comprehensive social and economic empowerment program." You can see their work in this short introductory video. 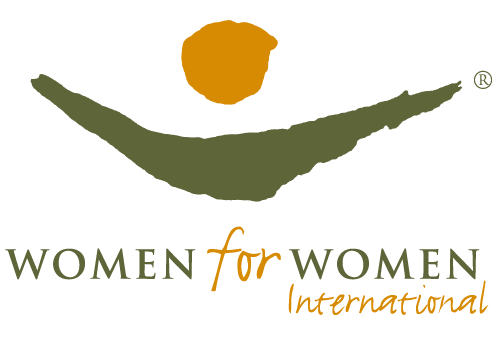 Since 1993, WfWI has served over 450,000 women in the following 8 countries: Afghanistan, Bosnia-Herzegovina, Democratic Republic of Congo, Kosovo, Nigeria, Rwanda, South Sudan and Northern Iraq. Participants in the program are grouped into classes of 25 women. There they learn basic business skills and vocational skills tailored to their local markets. They are connected with local healthcare providers and given information on managing their health and the health of their families. Women also learn about their fundamental rights, the rights recognized in their countries and the importance of civic participation. The impact for graduates of the program is measured in a variety of areas. Women report that, on average, their daily earnings have increased from $0.34 upon enrollment to $1.07 two years later. The percentage of women who practice family planning increased from 30% to 87% and 89% of women report sharing information about their rights with other women. A more detailed breakdown of the measurements can be found here. If you like what you see, how do you get involved? Sponsor a Sister, use your fundraising skills to become an ambassador or shop with a purpose. You can also spread the word on social media by liking the WfWI Facebook page, following them on Twitter @WomenforWomen and sharing a story of a woman who has inspired you and adding the hashtags #SheInspiresMe and #WfWI.